Want to avoid replacing your air conditioning or heating unit sooner than necessary? The average HVAC unit will last between 15-20 years, however some units can last even longer than that, keep in mind their efficiency starts to drop due to age. With the right maintenance schedule, and some adjusting your usage habits, your HVAC unit can last many more years. BCS Heating and Cooling brings you these tips for your air conditioning and heating maintenance in Prescott. You wouldn’t drive your car for years without getting the oil changed. Your heating and cooling unit system is no different. You must have someone come and check things out regularly. Here are several things that increase your HVAC system’s life span. 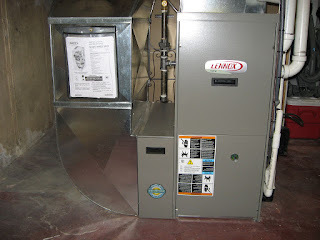 HVAC load calculation – This is something that is usually done when a new unit it installed. This checks to make sure the system is properly sized. A unit that is too small will have to work harder, reducing the life of the unit. Also, if you add any square footage to the system’s coverage, you will need to determine if you are still within tolerances. Furnace and A/C maintenance – Annual inspections and maintenance is the key. We have said it many times, this is the most substantial way to extend your unit’s life expectancy. Something that runs 365 days a year needs to be maintained. Change the air filter – This is a simple one that you can do. We recommend changing the air filter 4 times a year. A new filter will keep filter from getting clogged, keeping the system from working so hard, and helping thing keeping at the desired temperature more efficiently. Don’t overwork your system – Think about the temperature outside. It is a hot summer day, setting your thermostat to under 72 degrees will force your air conditioner to work double time. Increasing your indoor temperature only a few degrees to 78 will really take the load off. Your HVAC system works hard so treat it nicely. There are a few things you can do to make its job easier. During the summer pull the blinds closed to keep the sunlight out, use fans, and make sure nothing is growing around or blocking the condenser unit outside. During the winter make sure drafts are sealed, your insulation is up to snuff, and open the blinds during the day to warm thing up naturally.